The posterior cruciate ligament is the strongest ligament about the knee and a significant contributor to the flexion space and flexion balance in total knee arthroplasty (TKA). The authors feel that the posterior cruciate ligament should be retained and balanced during primary knee arthroplasty and, when applicable, in revision total knee arthroplasty. It is essential, however, to balance the posterior cruciate ligament and use a tibial femoral geometry that is compatible with PCL retention. The technique for PCL balancing is straightforward, but the tests to determine proper PCL balance are different in fixed-bearing vs mobile total knee arthroplasties. 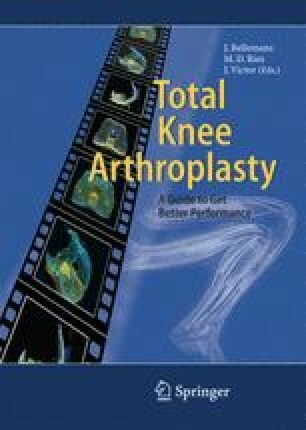 This chapter reviews the anatomy of the PCL, its importance in balancing the flexion space, and the techniques for assuring proper PCL balance in fixed- and mobile-bearing total knee arthroplasties.